Encourage students to conduct their own research as you lead them through engineering processes! 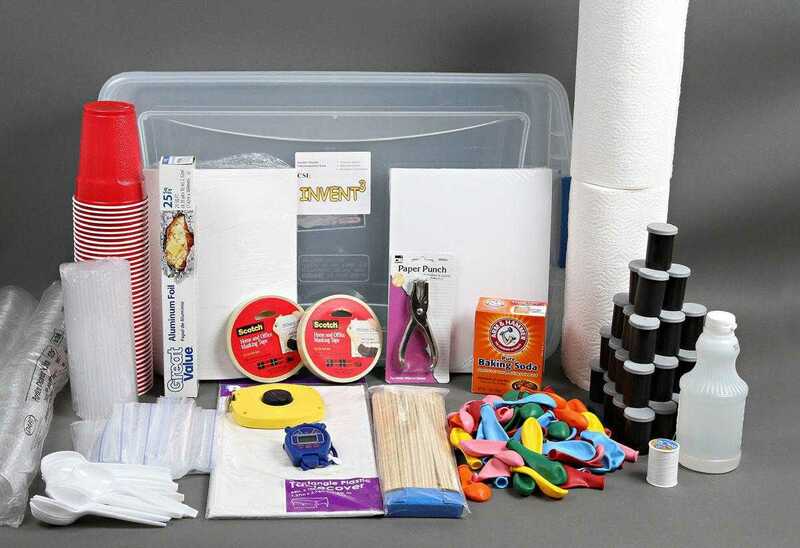 The CSI Invent3 Kit guides students through three stages: exploration, investigation, and experimentation while addressing middle school national science, mathematics, and STEM standards. First, students write a report on inventors or inventions and come to realize that even they can become an inventor or engineer. Next, students design and build one of the six prototype mini-inventions, (ex. paper airplane, balloon car, egg drop, tinfoil boat) included in the kit. After testing their inventions, students employ standard engineering processes to make improvements. Finally, students create unique inventions, do a project cost analysis, and design marketing materials for their products. May be completed in 12 class periods or extended to a year long project.